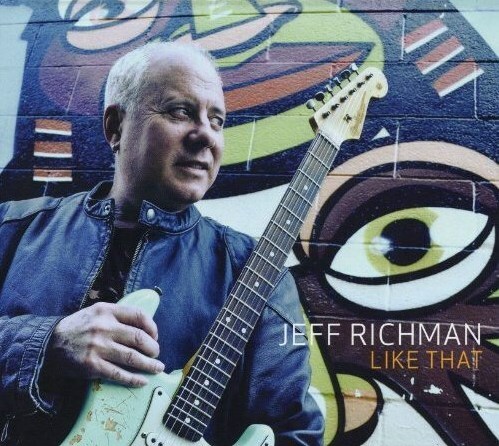 It’s Like That when guitarist Jeff Richman fuses jazz and rock into a new recording. Richman’s extensive professional background includes performing on guitar, composing, arranging and recording music in many genres, and teaching in academic and private settings. He has produced 16 solo albums and toured worldwide with notable musicians over a 35-year career. Among those he has performed with are Ray Barretto, Flora Purim, Airto Moreiro, Eumir Deodato, Blood Sweat and Tears and Gerry Mulligan. The title song is a moderate groove, featuring Kennedy, Taba and Johnson. Acuna’s congas give it an extra punch. Richman’s lead is smooth. Kennedy rolls through the toms to set up Johnson’s solo. Taba holds his own, but it’s Forman and Kennedy who have the most to say about this track.